So, I haven’t created an original post since Monday… I find it hard to write about beauty, fashion and or shopping when there are a ton of people who’ve been furloughed and don’t know when they will be back to work…but I digress. While in the shower and thinking about original posts, I wondered if I had wrote anything about black soap. Black soap was the first post on my original blog and when Pink Gumbeaux was created (although you wont find it, I deleted a lot of older posts). Any who… what’s black soap? Black soap works on most skin types including rough and dry or sensitive skin. Help clear skin bumps and spots by using black soap daily. Black soap is also great for removing makeup. Black soap benefits against premature facial lines and wrinkles. Black soap can also be lathered and used as an effective shampoo. You can buy black soap online or at health/organic type of store. Warning: black soap is not BLACK. 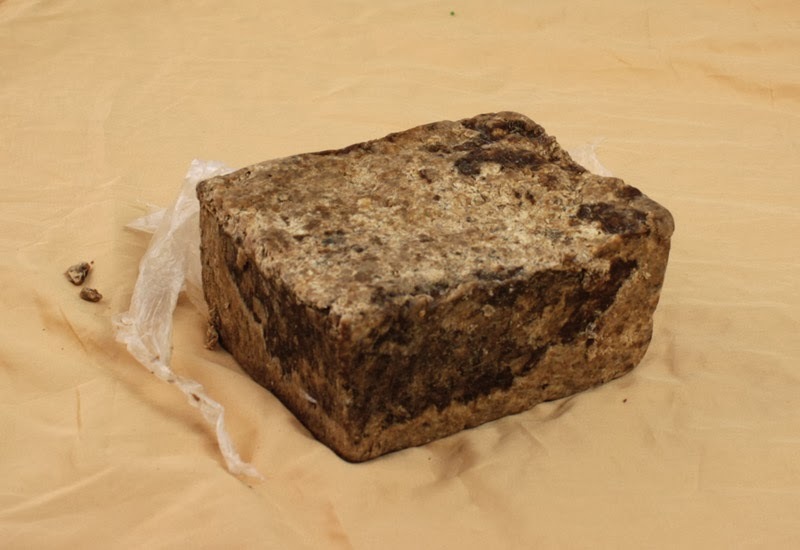 Authentic black soap (with all the above listed benefits) looks like the picture above. Also, this soap smells like dirt (which is why I follow up with oatmeal soap or something else that smells better, lol). Originally posted on Pink Gumbeaux (at Blogger).